The best resource for getting your fiction published! 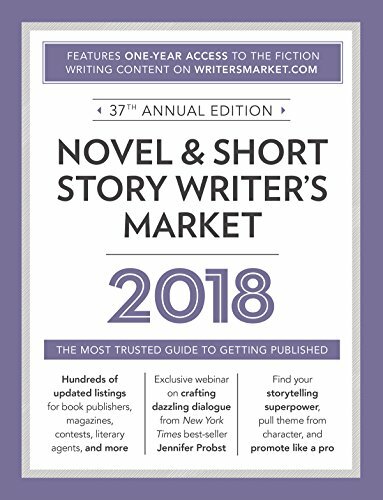 Novel & Short Story Writer's Market 2018 is the only resource you need to get your short stories, novellas, and novels published. This edition of NSSWM features hundreds of updated listings for book publishers, literary agents, fiction publications, contests, and more, and each listing includes contact information, submission guidelines, and other essential tips. You will also receive a one-year subscription to WritersMarket.com's searchable online database of fiction publishers (comes with print version only). Includes exclusive access to the webinar "Say What? Create Dialogue to Hook Readers and Make Your Story Pop" by best-selling author Jennifer Probst.